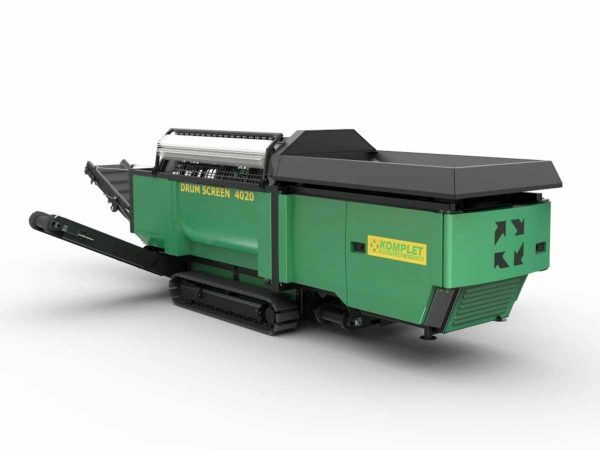 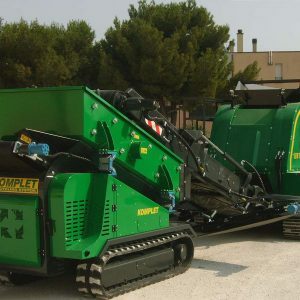 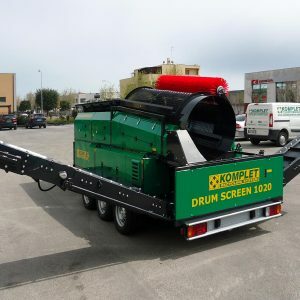 The modern and flexible design of Komplet’s DS4020 and DST4020 trommel screens, allows the machine to have a very compact size and a very large screening surface. 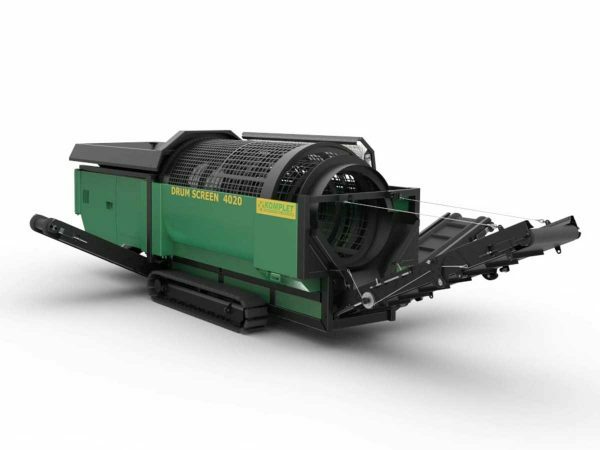 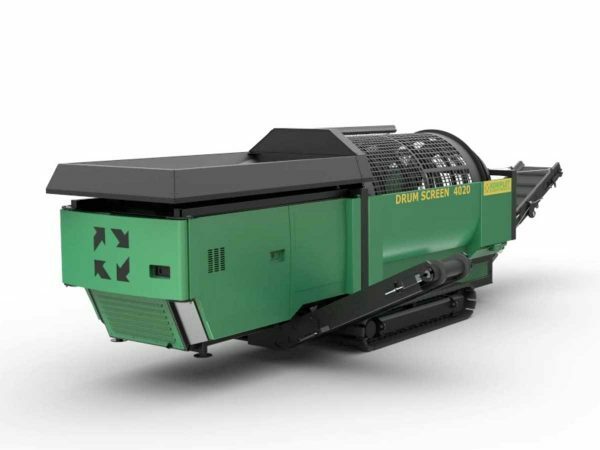 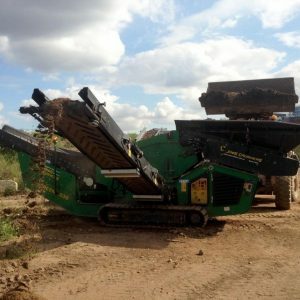 It can feature between 2, 3 or 4 material selections, by changing the rotating drum and adding a pre-screener onto the loading hopper. 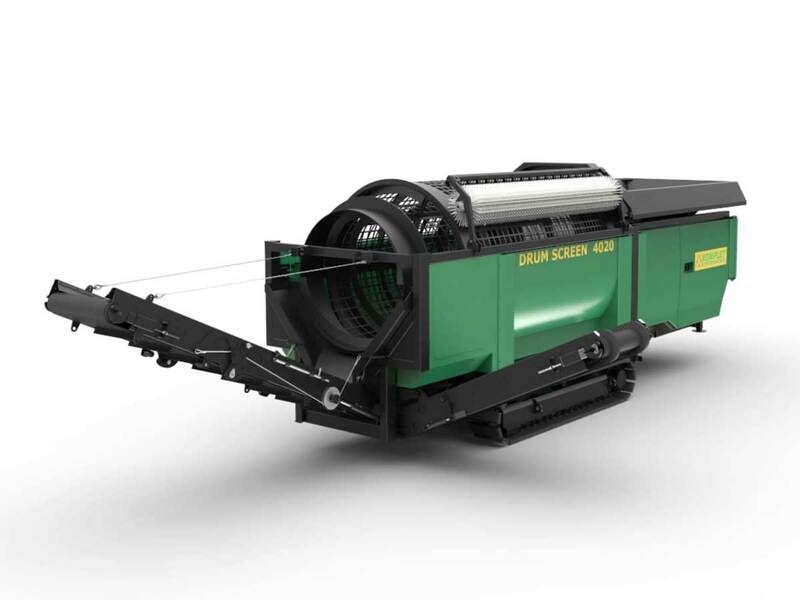 The 4020 trommel screen was designed for greater mobility and easier transportation, while meeting all customers needs, it can either have crawlers mounted or be towable on wheels.